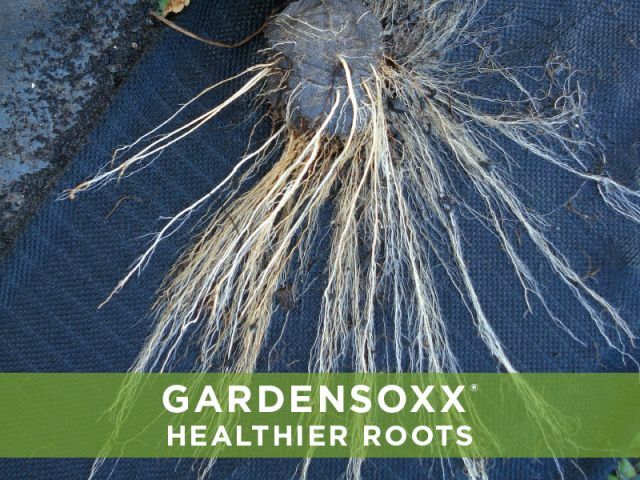 Healthier plants and better results with GardenSoxx. Years of product research have gone into making GardenSoxx® the best container for growing vegetables, fruits, herbs and flowers. Filtrexx has designed, tested and manufactured GardenSoxx with Filtrexx GrowingMedia, a compost made from yard trimmings. Our media is extremely nutrient rich and has specific characteristics that make more suitable as growing media versus a soil amendment. Agricultural research shows that GardenSoxx can result in a healthier, more productive crop. A 2007 study titled "Socking It to Strawberry Root Rot" by the United States Department of Agriculture (USDA) Research Service showed that perennial strawberries planted in GardenSoxx are less susceptible to black root rot and produce more marketable fruit than those planted in unfumigated, unamended soils. GardenSoxx mesh provides optimum drainage, protecting crops from disease-prone soil conditions. Our composted Filtrexx® GrowingMedia™ also helps suppress plant pathogens. The USDA also rated the root health of the strawberries by using a scale of 1 to 5—with 5 being totally free of root rot. All but one GardenSoxx scored 4 or 5, while the strawberries grown without the compost ranged from 1 to 3, except for one rating of 4. A subsequent study titled "Effect of Different Cultural Systems on Antioxidant Capacity, Phenolic Content, and Fruit Quality of Strawberries" was conducted by the USDA in 2009. The study measured the concentrations of compounds contributing to fruit and flavor quality. These included various sugars, organic acids, and pigments that are a rich source of antioxidants. 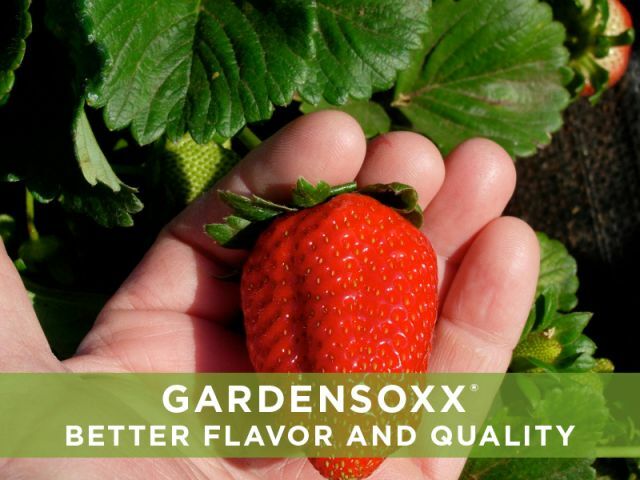 Compared to matted row and plasticulture systems, strawberries grown in GardenSoxx had significantly more sugar content, flavor, color, and antioxidants.